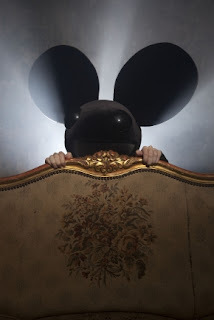 Show Alert: Deadmau5 "changing the American concert landscape"
"There's a revolution happening in music right now, and it's being led by a man with a giant mouse head," who happens to be Canadian electronic artist Joel Zimmerman, aka Deadmau5. Join the dance dance revolution at the Fillmore Detroit tonight or tomorrow. Read the complete article about Deadmau5 by Adam Graham, pop music writer for the Detroit News, here. Did the Sirens of sensibility go off? We in the Windsor/Detroit area are lucky to have the opportunity to experience TWO (2) (DEUX) shows in our cities. Vancouver BC's The Pack A.D. play garage rock/pop/punk/blues that is fierce, unapologetic, and loud as hell on both sides of the Detroit River this week. The Pack's Unpersons Tour comes barreling off the 401 beginning at the CBC Radio 3 Searchlight Best Live Venue Phog Lounge on Wed. Oct. 19 and rolls into Corktown's classic PJ's Lager House on Thurs. Oct. 20. Bring your earplugs and your dancing shoes. What makes a great show? Perfect vocals? Flawless synchronization between band members? A hair-flailing, high-energy performance? Sure. But sometimes great shows, like Al Tuck with Max Marshall and Alison Corbett, aka Black Molly, as his impromptu backing band at Windsor's Phog Lounge on Jul. 26, aren't the most perfect ones. "It might get a little scrappy," Tuck warned us. Scrappy isn't among the many adjectives we'd read about Tuck (PEI), but by the end of the evening, it proved to be almost as accurate as the accolades and laments, and made us fans forever. Marshall, the opener that evening, is a multi-talented, multi-instrumentalist, multi-band (The Windsor Salt Band, ASK) Windsor/Toronto musician. He was charmingly self-conscious on stage playing his first solo gig, and his folk/classical-inspired set, including some of the most accomplished guitar work we've seen in a while, was just plain charming. Corbett (St. John's, NL) has a similar pedigree, and is best known as a member of The Burning Hell. So why did these two experienced session musicians-- Corbett on the violin, Marshall on the upright bass-- have such a hard time following Al Tuck? We've done a bit of amateur jamming in our day, and once you've got the basic chords down, usually some form of the standard 1-4-5, it's fairly easy to keep up and maybe even improvise a little. But Tuck doesn't do a lot of basic. Yes, his songs have verses, choruses, melodies-- and often beautifully crafted, wandering chord progressions. To paraphrase Ralph Waldo Emerson, the songs of Al Tuck are a journey, not a destination. Marshall and Corbett gamely tried to keep up, but scrappy it was. It didn't help that Tuck had to abandon his buzzy "parlor" guitar for an electric, and borrowed Marshall's guitar as well. Both instruments seemed to require a lot of retuning to different keys between songs, giving Tuck plenty of time to entertain the modest audience with stories, humour and observations on par with Norm MacDonald. We were disappointed that we never had a chance to hear Corbett really cut loose on the violin before she had to leave. After a break, Tuck returned more relaxed for a second set; Marshall's earlier solo stage nerves gave way to witty banter. When he finally implored Tuck to "Play something I know," the atmosphere changed from "face down on the page" (Brave Last Days, 1994) to everyone on the same page on hits like "brother from another mother" (My Blues Away, 2005), and at the request of jojodillon, a lovely rendition of "Wishing Well, recorded by Joel Plaskett but penned by Tuck himself. Happy ending to a scrappy show. We picked up Tuck's 2010 release, All Time Favourites, afterwards and it didn't leave the CD player for days. With every listen, our appreciation grew, and we expect it to grow even more when Tuck's new release, Under Your Shadow (New Scotland Records), drops on Nov. 8. 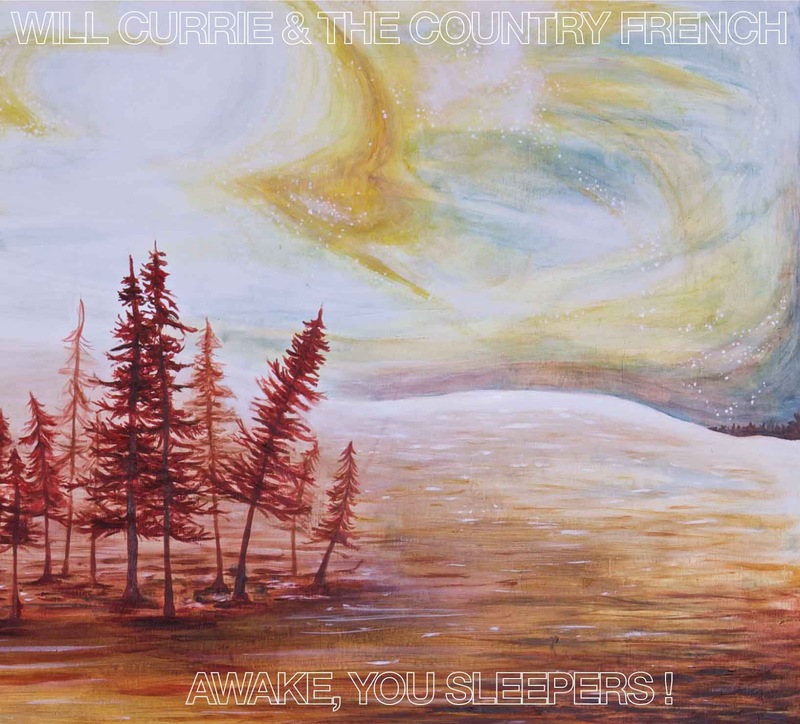 Listen to the single "Slapping the Make On You" (produced by Joel Plaskett) here. If you're lucky enough to live in eastern Canada, Tuck will be touring in support of the new album-- with Sudbury's Ox as his backing band.